PhotoLine can save documents as PDF. On doing that text and vector graphic is - if possible - not reduced to pixel graphics. On saving optionally all color information in a document can be converted to CMYK. 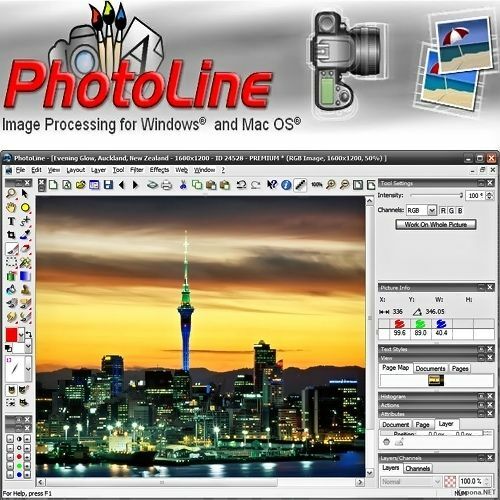 PhotoLine can also import PDF files. The import keeps the structure of the document intact, this means, text is read as text layers andvector graphics is read as vector layers. PhotoLine is able to work with documents containing more than one page. This allows the creation of booklets and flyers. In contrast to classic image processing PhotoLine can create empty pages (pages without a background image) which can be used to place images, text and vector graphics.